Air Flow 8,000 CFM. 200-400 watts used. 450-600 PV watts recommended. 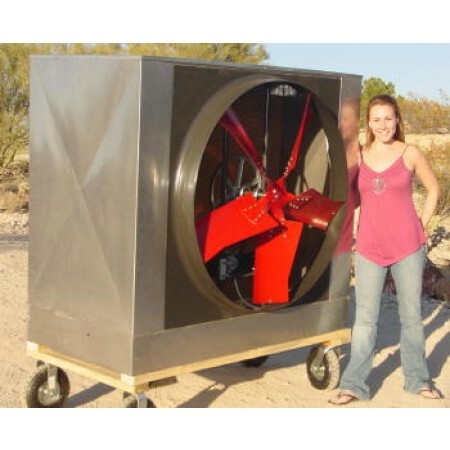 The 42" belt drive Solar Chill can move a lot of air (9000 CFM). This 42" stainless steel Solar Chill is available for use on 12-volt or 24-volt systems and is capable of cooling spaces up to 2250 square feet. 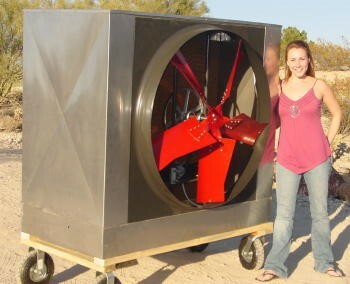 It uses only 200 to 400 watts of electricity. It comes standard with an 8-inch thick Cel-Dek wet pad, and can be run direct from a 450-600 watt PV array, although deep-cycle batteries are recommended for best performance. 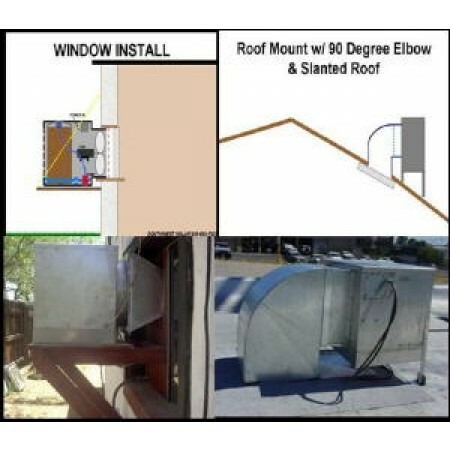 Whether your application is industrial or a large home, if you have over 1000 sq feet, this unit is perfect.